The Project Pad • View topic - New motor setup looks pretty cool. New motor setup looks pretty cool. 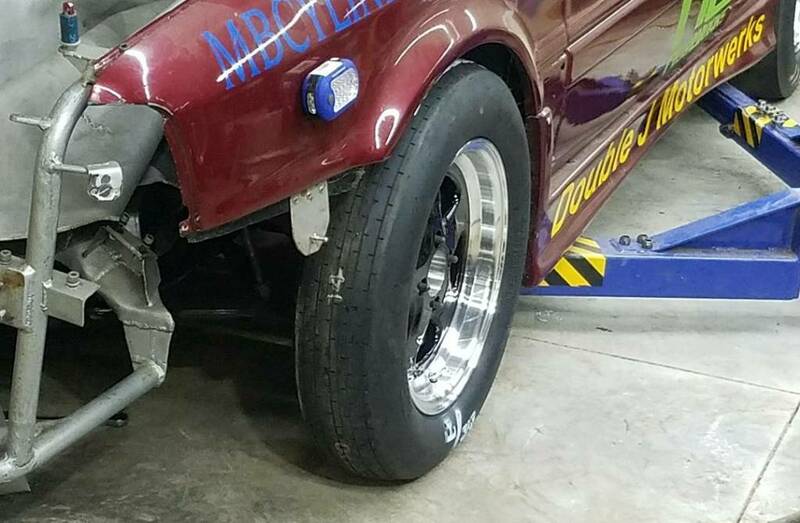 The drag cars new motor setup looks pretty cool tucked in there nice and snugly. Re: New motor setup looks pretty cool. looks sweet! 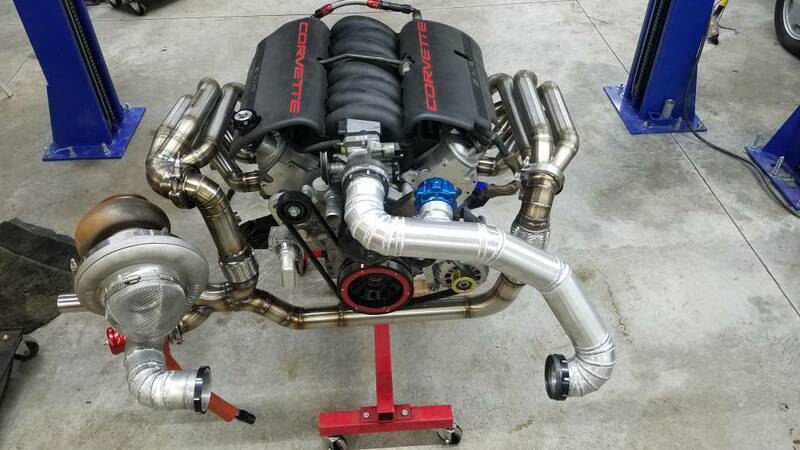 What are you doing for engine management on this one? That is awesome, what's your power goal? how could you go wrong with a turbo LS? The sloppy mechanics dude made like 1070whp on a stock 6.0 with a cam and big single. I assume a basic built LS is capable of a fair amount more than that? the german wrote: looks sweet! What are you doing for engine management on this one? Lucky wrote: That is awesome, what's your power goal? power goals are whatever it takes to slow it down, and run slower than 10.00 and under 135. if it does it without blinking, on the WG or under, i will push it for 8 second passes. 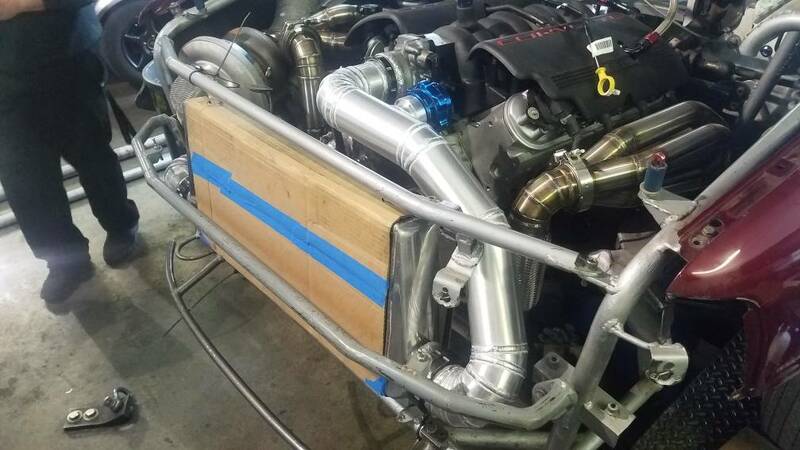 dana wrote: how could you go wrong with a turbo LS? The sloppy mechanics dude made like 1070whp on a stock 6.0 with a cam and big single. I assume a basic built LS is capable of a fair amount more than that? it is all stock bottom end with ARP hardware only. i had to do .020 over oem pistons though due to cylinder wall wear, it is after all a 223k mile motor my engine guy wouldnt let me go Sloppy and just change the oil pump, he made me do rod/main/cam bearings and rings. all i WANTED to do was gap the stock rings for some boost haha. the grand total for the full build? parts were (for all bearings, rings AND PISTONS) $216, and i took a weeksvacation and spent it at the shop working on my stuff or his, whatever was needed. originally i just got head stud kit and crank bolt/cam bolts, but he made me get ARP rod bolts and then gave me a set of ARP main stud kit. it is built as much a stock block can be without replacing rod/crank/piston with upgraded parts. 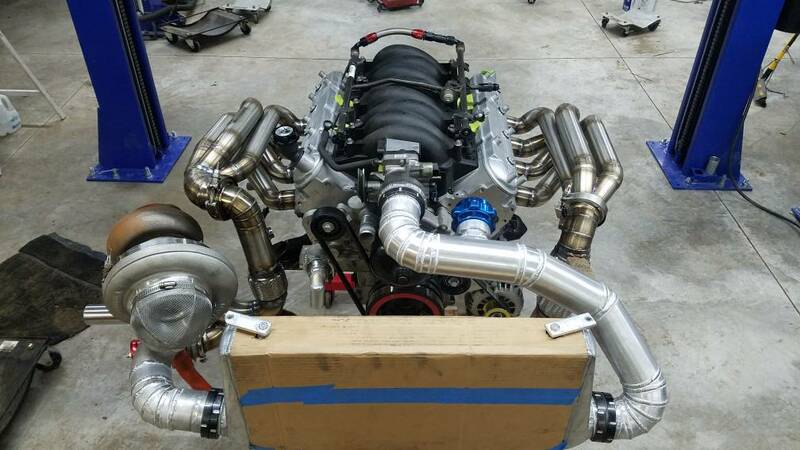 i think it would sustain >1000 whp with ease with supporting hardware: IE turbo, fueling, etc. so its a 5.3L iron block with 241 car heads, cut down .025 to bring back some compression. i hand ported the heads myself, and built it at the machine shop all me with guidance. he did the bore/hone/diamond plateau brush finish and i learned to run the head surfacer machine on my heads. i did the valve job myself too. 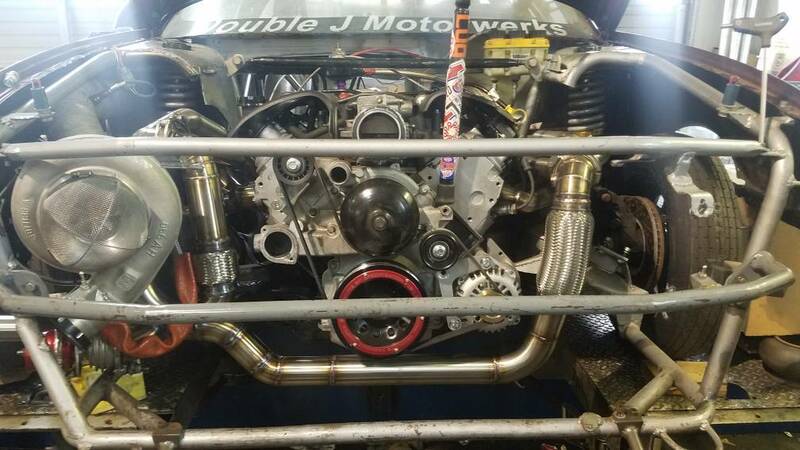 heads have dual valve springs with stock valves, new LS7 lifters and pushrods, and the cam was custom ground to match the "small" (for LS anyways if single) turbo. 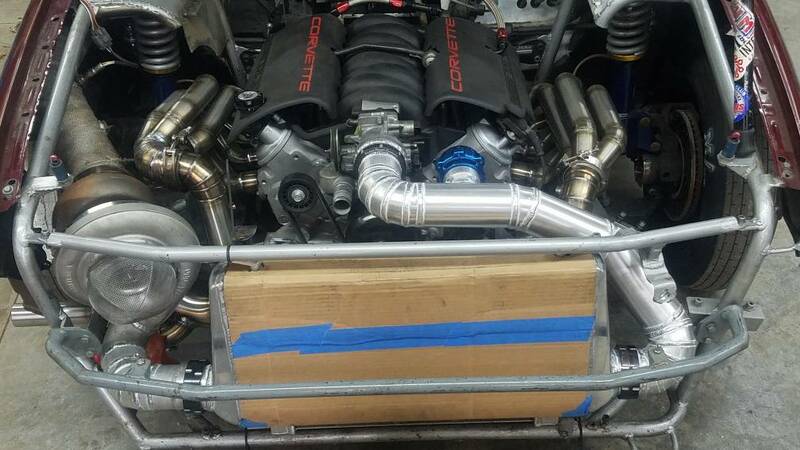 in all honesty, hardware (turbo and injectors (67mm and 1000cc)) should limit it to maybe 600 whp? possibly more, who is to say until its time right?? 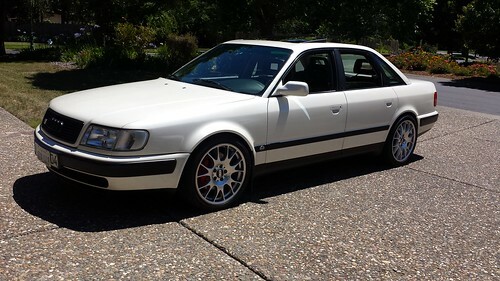 the 4cyl ran high boost at >47 psi, but used 4 x 2kcc injectors same turbo high rpm. this will run lower rpm, lower boost, same fuel @ 8 x 1kcc. so i dunno. 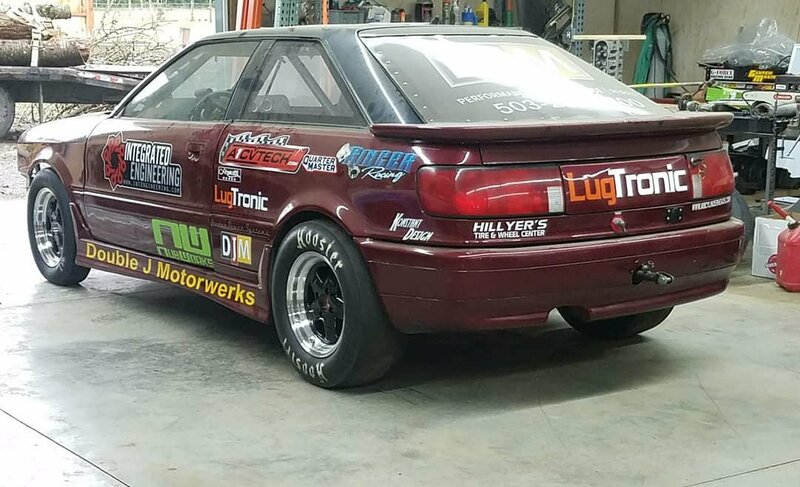 main goal is to learn RWD launching/driving in prep for the big tire tube chassis car, and have FUN with going slower, going rounds, more reliability, less work and less safety gear. helmet, jacket, run rounds is what i want. 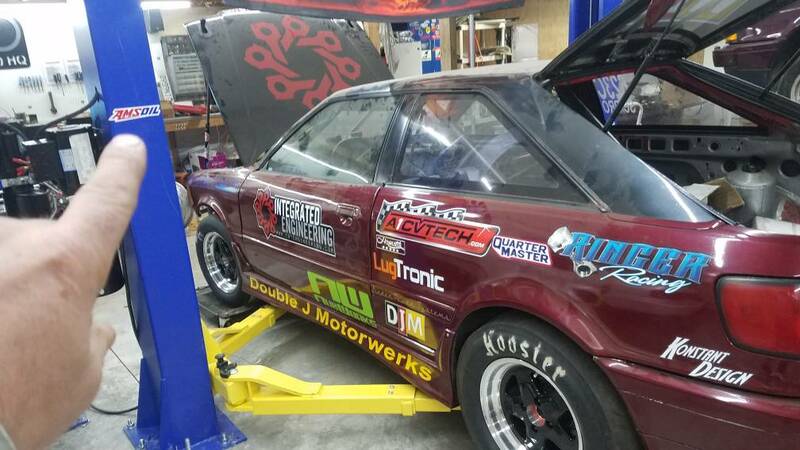 another part of this build was to use NO MONEY from the other cars funds. zero. no out of pocket. i made money on the truck from selling parts and such, so motor was free. sold the dogbox for the bulk of the funding, and other parts from the 4cyl to bump up the kitty. one thing i did do was add my tax refund last year, but i am still right about at that level money AHEAD (in the plus) so it has been a no new money build. a few things i bought that i didnt need to, like new wheels and tires. 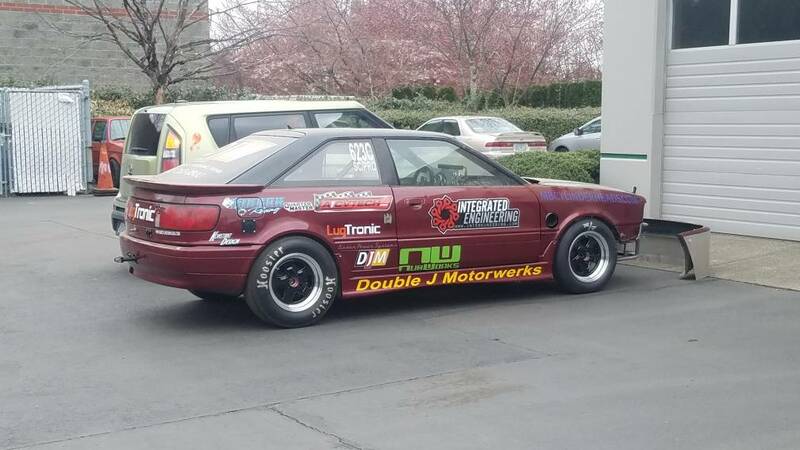 RWD car needs to LOOK like one yes? so skinny fronts were needed, and since i couldnt get the Convo Pro skinnys anymore, i just got all new. Good to see you are getting back into the having fun business again. Nice!! 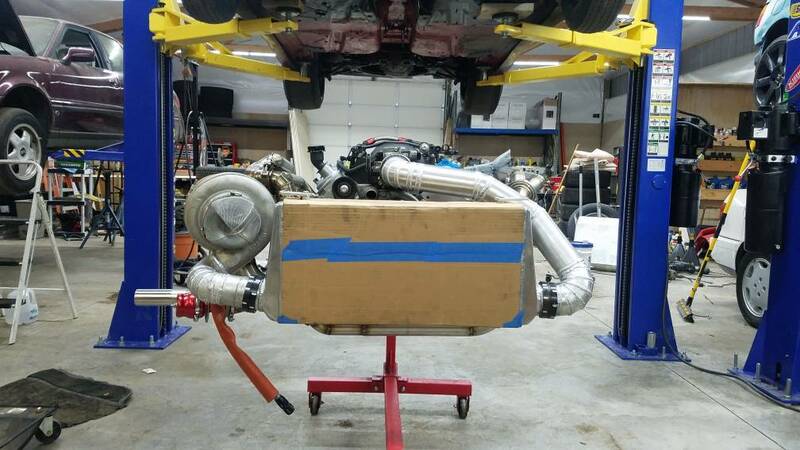 Plenty of room in there for another turbo! !